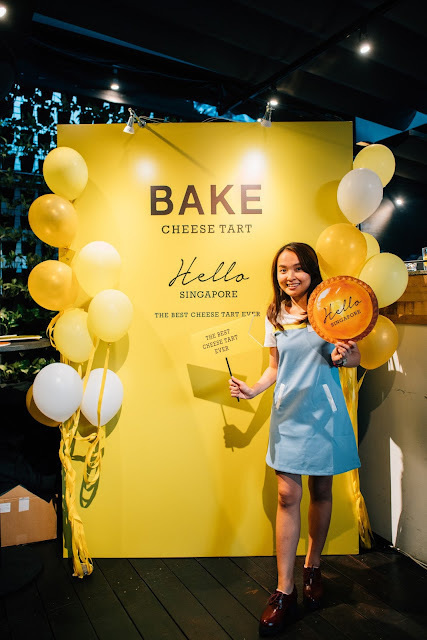 You've probably seen articles about them on your Newsfeed— in a week's time, Bake Cheese Tart is launching its flagship store in Singapore at ION Orchard. All these buzz is not surprising as they have sold more than 20 million pieces since 2014. 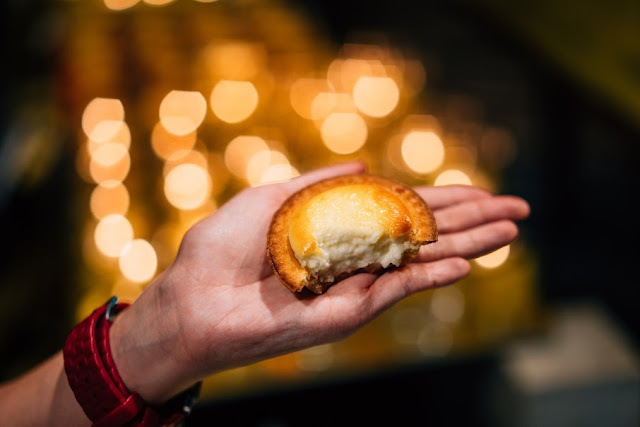 If you haven't tried BAKE Cheese Tart from any of the nine stores in Japan, you'd probably be wondering why this Hokkaido Cheese Tart is so popular. 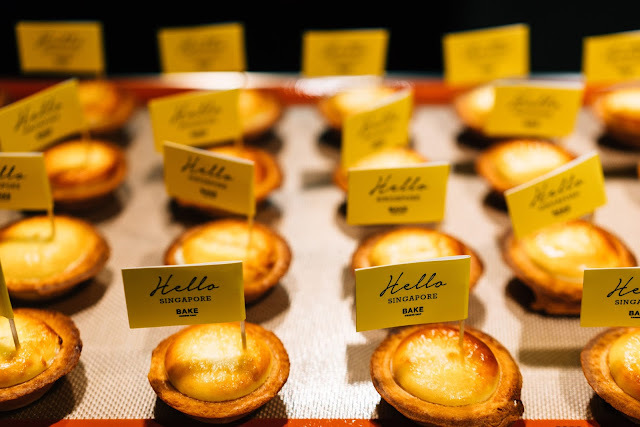 Here's why BAKE CHEESE TART is so famous in Singapore. If you're looking for an online recipe to bake this wonderful cheese tart, I'm sorry to say that you'll never replicate the exact recipe. The cheese mousse is created by blending three different types of cream cheese together - two from Hokkaido and one from France. Hokkaido is known for their fresh cream, butter and cheese. Firstly, they process the cheese within hokkaido and mix the french cheese into a perfect balance. This makes it really light and fluffy! The pastry goes through a two-step process which leaves it with a distinct crunchy texture. First, they bake the tart crust first and then they bake it again after putting in the cheese mouse. This allows the savoury cheese and tart to come together to form a flavour that is uniquely BAKE’s. BAKE President and CEO Mr. Shintaro Naganuma, the son of KINOTOYA (a sweets confectionary in Sapparo) learned about the Japanese market when he was studying in the USA. 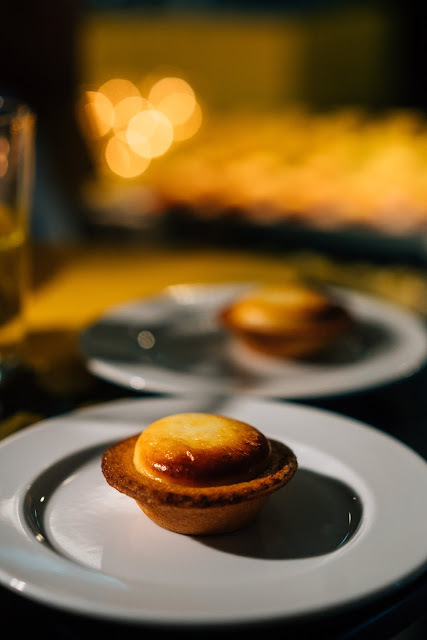 He made a breakthrough in cheese tart and soft cream, forming the basis of the BAKE Cheese Tart. 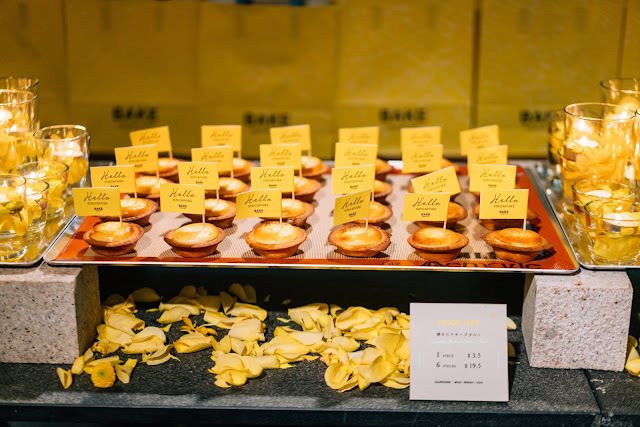 Thus, BAKE Cheese Tart was officially rebranded in February 2014. 4. 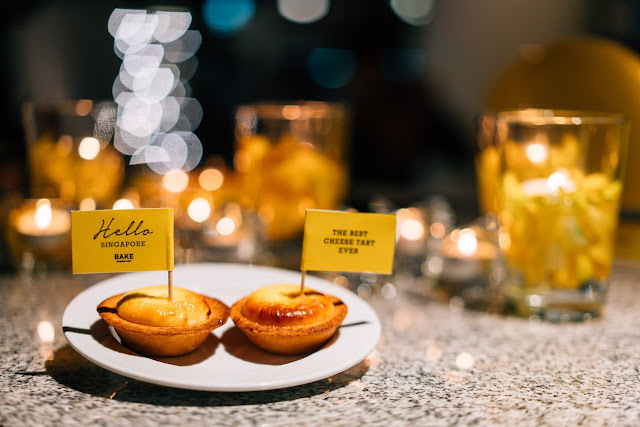 The savoury quintessential dessert was born in SINGAPORE (November 28, 2011). 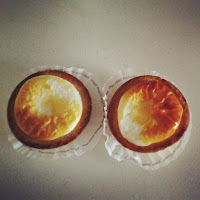 "The BEST Cheese Tart Ever"
Singapore is the birthplace for BAKE Cheese Tart. 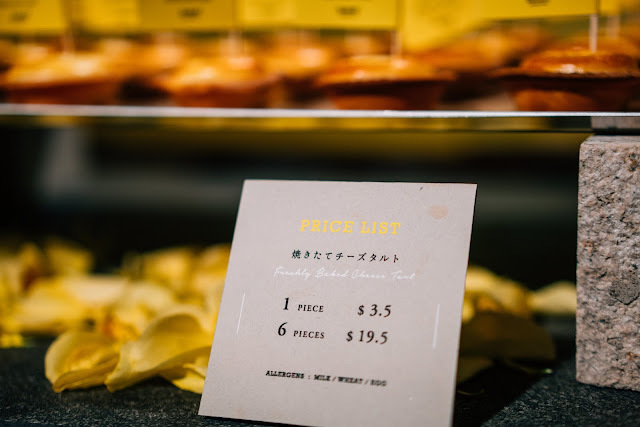 Mr. Shintaro faced great difficulty trying to sell his cheese tarts in Singapore's Meijiya Japanese Fair. 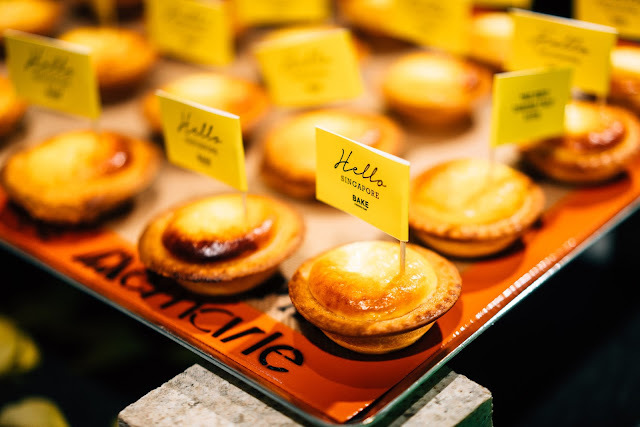 Initially, only 50 tarts were sold per day. 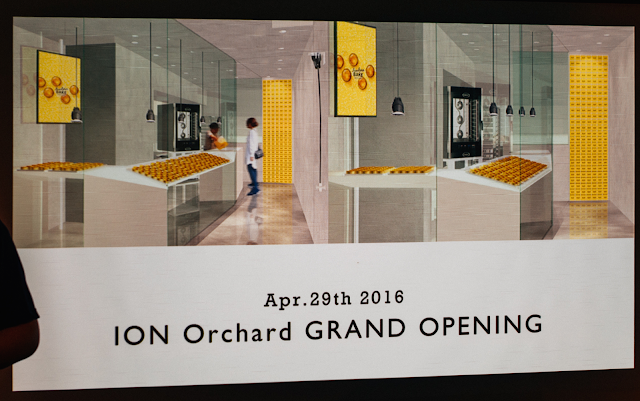 Their previous sales method was to store the tarts in refrigerators and sell it cold. However, they had an incident of selling it straight from the oven and soon, a queue quickly formed. On that very day, he sold 1,000 tarts a day. Mr. Shintaro was so inspired by the incident, that he went back to Hokkaido and opened a shop called BAKE Kinotaya at Sapporo City. Back then, my boyfriend's mother brought back some cheese tarts from Japan and it happened to be the very cheese tarts that are now BAKE! Their recipe has improved tremendously. 5. The factory is THE store. 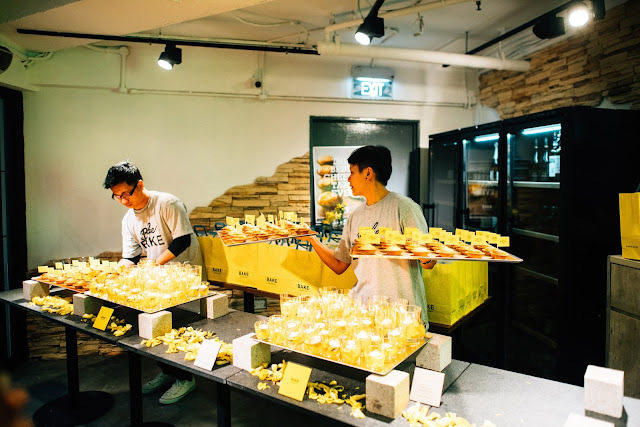 BAKE believes that their store concept should be a factory. 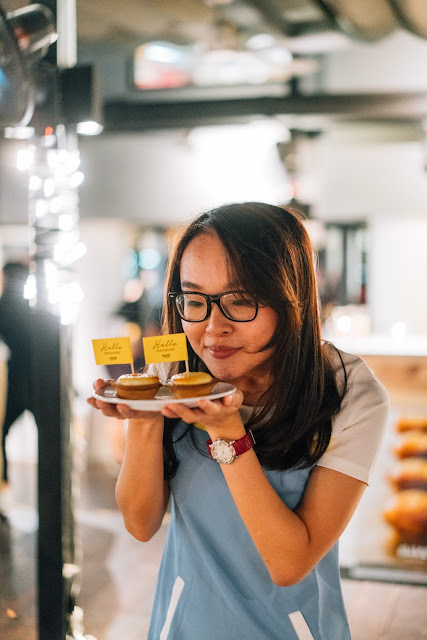 This ensures that their tarts are always fresh, and they actually calculate the time periods where customers would purchase the tarts and bake it every minute for customers to enjoy the best cheese tarts. 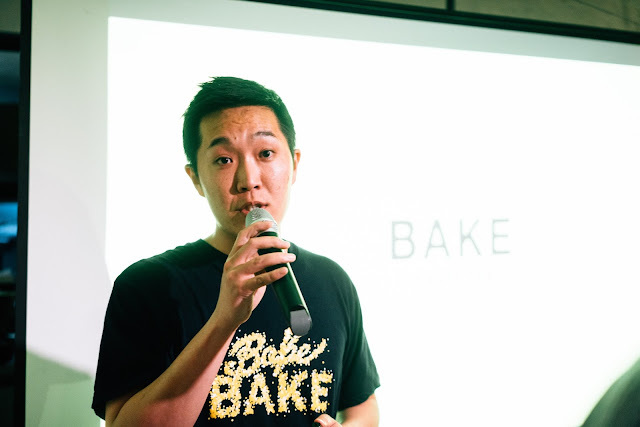 Recently, BAKE opened a BAKE lab where they brush up on their recipe again and again. They conduct AB testing to improve their recipes, researching for the best ingredients and improve their tarts. 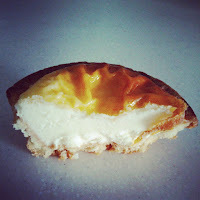 Simply compare the Kinotaya Cheese Tarts (see above) and you can see how far they've come! 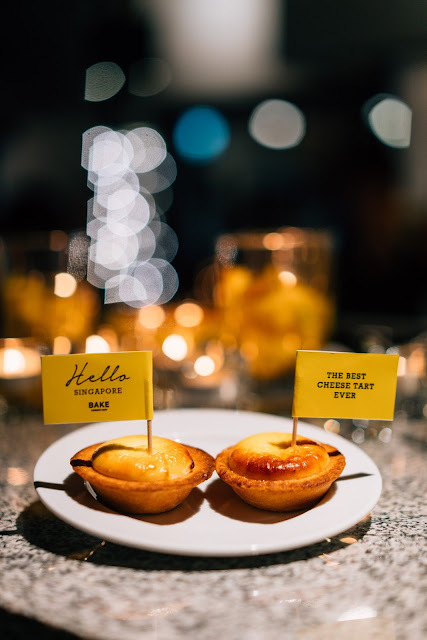 A waft of the flavourful cheese tarts somehow gives me an imagery of cows grazing in the fields against the backdrop of the hokkaido mountains. The strong, savoury cheese smell makes the experience even more satisfying! 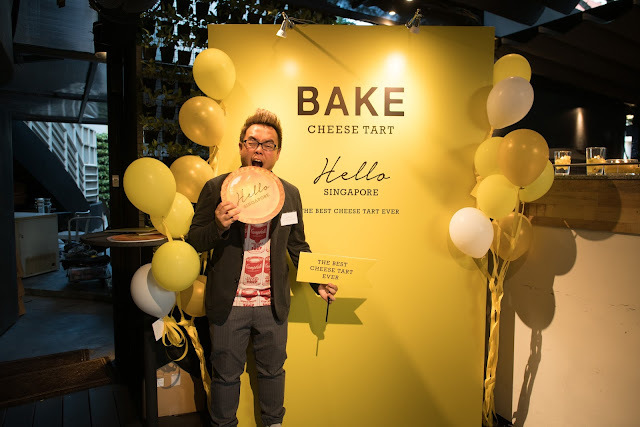 Singapore welcomes you, BAKE Cheese Tart! 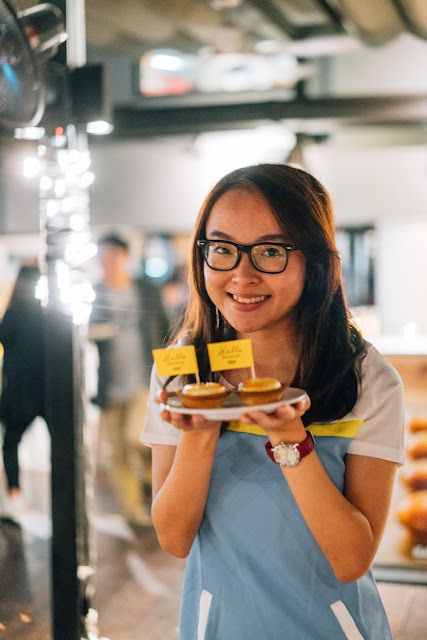 We'd like to thank Yushi Han, Jessie Ng and Yohei Kikuchi for the invitation to BAKE Media Launch. It was a really insightful experience learning about BAKE!